Once considered a Midwestern leader in clean energy development, Wisconsin is now referenced as one state where electric utilities with the backing of regulators are putting up financial roadblocks against the solar industry. A new report in the Washington Post mentions Wisconsin along with New Mexico and Arizona as states where traditional utilities like WE Energies and Madison Gas & Electric are fighting to maintain electric sales in the face of a changing marketplace. “Industry must prepare an action plan to address the challenges,” warned the Edison Electric Institute, the leading industry trade association. All four of Wisconsin’s investor-owned utilities are members. The meeting at a resort in Colorado Springs, Colorado, became “a call to arms for electricity providers in nearly every corner of the nation” wrote reporter Joby Warrick. “Three years later, the industry and its fossil-fuel supporters are waging a determined campaign to stop a home-solar insurgency that is rattling the boardrooms of the country’s government-regulated electric monopolies,” he wrote. Warrick’s report also makes the link between the electric utilities and the American Legislative Exchange Council, or ALEC, a nonprofit organization with financial ties to billionaire fossil fuel industrialists Charles and David Koch. In Wisconsin last year, the state Public Service Commission approved major price increases in electric rate structures for state utilities. Utilities argued the changes were needed to cover the cost of maintaining the power plants, poles and wires in the face of slowing electric sales. For MGE customers, fixed charges for residential electric service went from $10.50 to $19 a month. MGE customers fought against the changes and eventually got the company to agree to a series of community listening sessions before pursuing additional fixed rate prices hikes going forward. At one point, MGE had talked about raising residential customer fixed charges to nearly $70 a month by 2017. Meanwhile, the state Public Service Commission (PSC) of Wisconsin is facing a lawsuit from Madison-based Renew Wisconsin and the Alliance for Solar Choice of San Francisco, saying it was guilty of discrimination by passing additional fees on solar customers in the WE Energies 2014 rate case. Gov. Scott Walker has appointed all three members of the PSC, with the naming in February of former Department of Administration secretary Mike Huebsch to the powerful regulatory agency. Koch Industries has significant operations in Wisconsin, including Flint Hills Resources, which produces gasoline and asphalt; the C. Reiss Coal Co., which supplies coal throughout the Great Lakes region; and Georgia-Pacific, the packaging and paper firm. Georgia-Pacific’s chemical division is also a producer of proppant resin, a coating for small particles used in hydraulic fracturing. Another current decision of interest to the utility companies, the PSC, and the governor is American Transmission Company’s (ATC) and Xcel Energy’s proposed Badger-Coulee transmission line project, which stretches from the La Crosse area to Madison in Wisconsin. It is estimated 345-kilovolt, 180-mile line project will cost $580 million. More than 200 people attended a public hearing in the Town of Holland by the PSC in December. Most of the people who testified in front of the Public Service Commission of Wisconsin voiced their opposition to the project. Some cited health concerns from massive power lines and others questioned whether it’s necessary. Xcel Energy is one of project partners. A spokesman at the meeting, Tim Carlsgaard, said power lines need a capacity upgrade. Plus, he said, Wisconsin has a 10 percent renewable energy mandate and wind energy is the best option for the Midwest. Carlsgaard said it’s nearly impossible to develop wind energy in Wisconsin. Dr. Patrice Tronstad, of Prairie View Elementary School, presented PSC administrative law Judge Michael Newmark with a poster signed by students opposing the project. The line could run right next to the Holmen school. Onalaska Mayor Joe Chilsen said he doesn’t want the Badger-Coulee transmission line to be built at all. But, if the proposed project running from the La Crosse area to Madison is approved, he urged PSC officials not choose the route that could cut through his city. Chilsen said the power line could affect property values and aesthetically damage the city along the Mississippi River. Chilsen also testified that future expansion plans for Mayo Clinic and other businesses could come to a halt if the Badger-Coulee line comes through the area. Chilsen was one of the dozens of people who testified before two PSC commissioners: chairman Phil Montgomery and commissioner Ellen Nowak. Commissioner Eric Callisto didn’t attend because his term is ended in February. 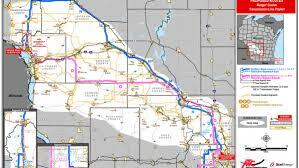 The now 3-person Walker appointed PSC decided last Thursday, March 26, 2015 to allow the construction of the new power line from La Crosse to Madison, over the objections by the public. Discussions and debate over the power line have lasted years, with many opposed citing environmental and aesthetic grievances. The Badger Coulee high-voltage transmission line will be built and it will follow a route from a substation near Holmen, north of La Crosse, to the Madison area, the Wisconsin Public Service Commission (PSC) decided in a unanimous preliminary vote. Opponent group, Citizens Energy Task Force, said it is “appalled, but not surprised” by the decision, saying there was not enough study of alternatives to building another huge power line. It conceded the construction of the line is “economically driven, with the economic benefits going to utilities while ratepayers being saddled with massive unneeded debt and the health, environmental and quality-of-life consequences that come with these unsightly, unnecessary lines,” the citizen group said. Organizations that have been fighting the proposal said they are considering filing a petition for a rehearing by the PSC or challenging the validity of the PSC’s decision in circuit court. The PSC is expected to issue a final order on the project within four weeks, and Wisconsin-based ATC and Minnesota-based Xcel said they will start contacting property owners on the chosen route yet this year. Construction of the line is expected to begin in 2016 and it is scheduled to go into service in 2018. Sources: March 11, 2015, report by Mike Ivey of The Capital Times. Reports aired on Wisconsin Public Radio.